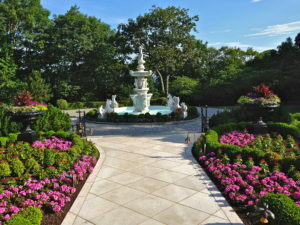 Cipriano provides award winning garden and landscaping design to their clients. 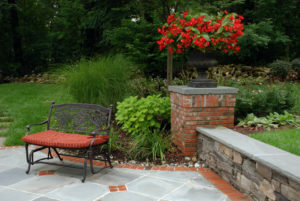 Cipriano garden design and landscaping services adorn homes with vibrant colors and a wide range of textures. We own a 10-acre tree farm in Mahwah, NJ where we supply exotic specimen trees and plants, which are utilized for our outdoor living projects. 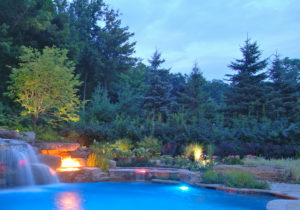 With our rich history in landscaping and masonry, combined with pool design and construction, we can complete your entire outdoor living spaces from start to finish. 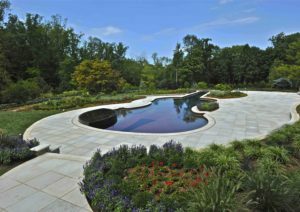 Landscaping around luxury pools helps tie the pool into the surrounding property and existing elements of the home and landscape. To further this integration, we can include mature tree plantings, in addition to any perennial or annual gardens. 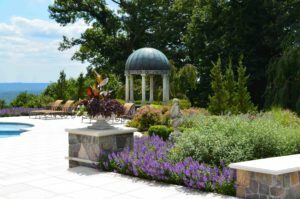 Our landscape architecture office designs beautiful, custom gardens that engage the senses with bright color, depth, and fragrance. 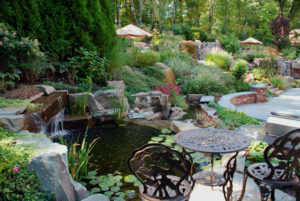 Some custom gardens incorporate popular trends such as rain gardens, shade gardens, edible landscaping, herb gardens, and other innovative landscape design options. 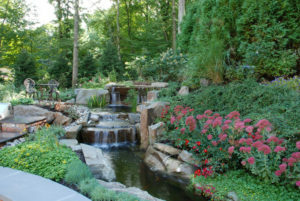 Once the design is complete, horticulture and irrigation specialists can plant and maintain your landscape for a lifetime of beauty and enjoyment. 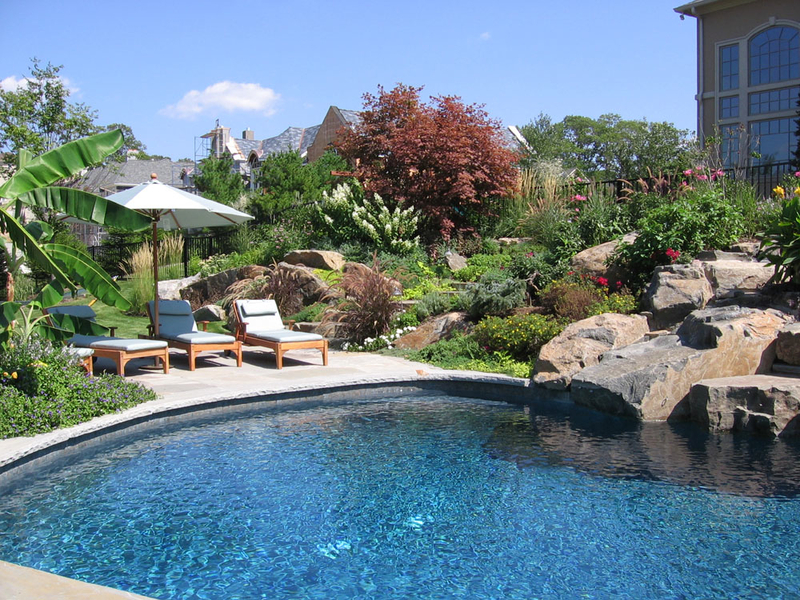 Browse our portfolio of custom NJ garden design, front yard landscapes, swimming pool landscaping, and backyard landscapes. 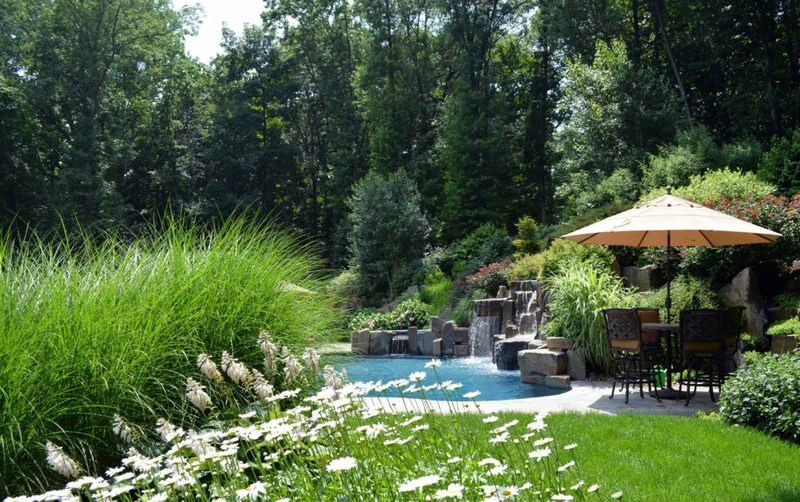 Why hire Cipriano for your landscaping and garden design?